You are cordially invited to the next art show + zine release at BOOKMACHINE books + zines, featuring the photographs and zines of Leslie Caldera. The opening reception is Friday, July 1, 2016 during the Downtown Fullerton Art Walk. 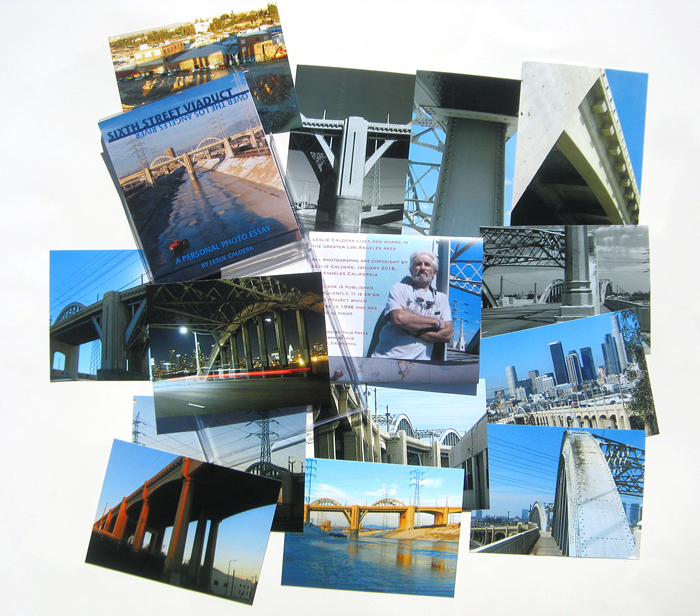 "Ode to the Sixth Street Viaduct" is a photo essay chronicling the iconic bridge over the Los Angeles River. Built in the 1930s the Viaduct is in the process of being destroyed. In an effort to hold onto this piece of local water/architecttural history, Caldera has immortalized it in photographs and words. Caldera will be at BOOKMACHINE to discuss his work. Photographs and zines will be for sale.